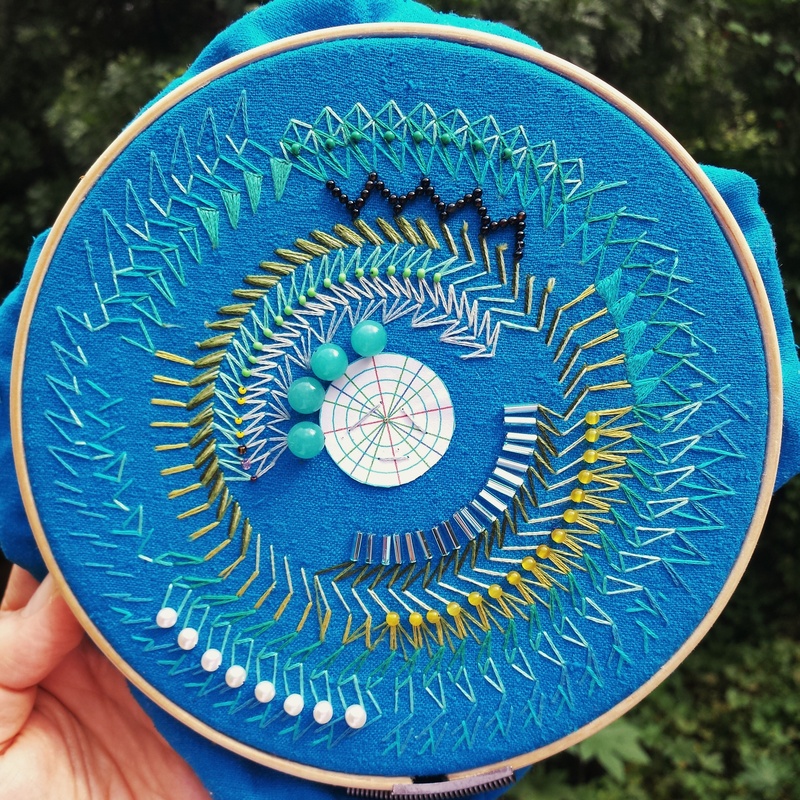 This chaotically embroidered mandala is the first test of embroidery with the help of a circular paper grid. The addition of beads was also tested. 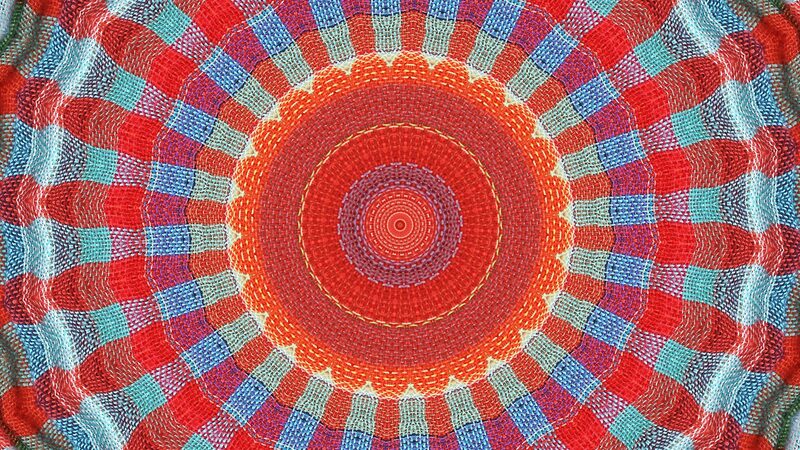 This is an experiment in the larger mandala project. 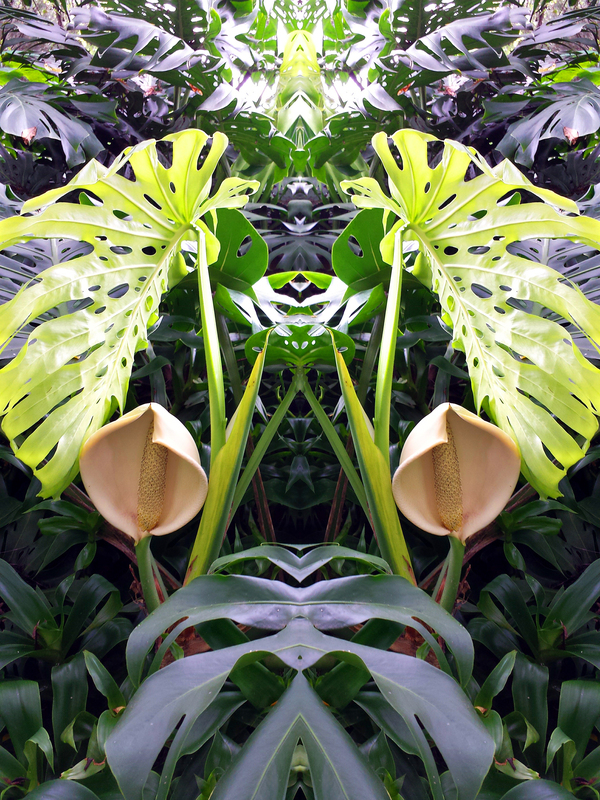 This image was created by photographing a loosely woven sarong with a kaleidoscope filter. The woven threads flow seamlessly into each other giving an overall effect that what is pictured was woven into this form. 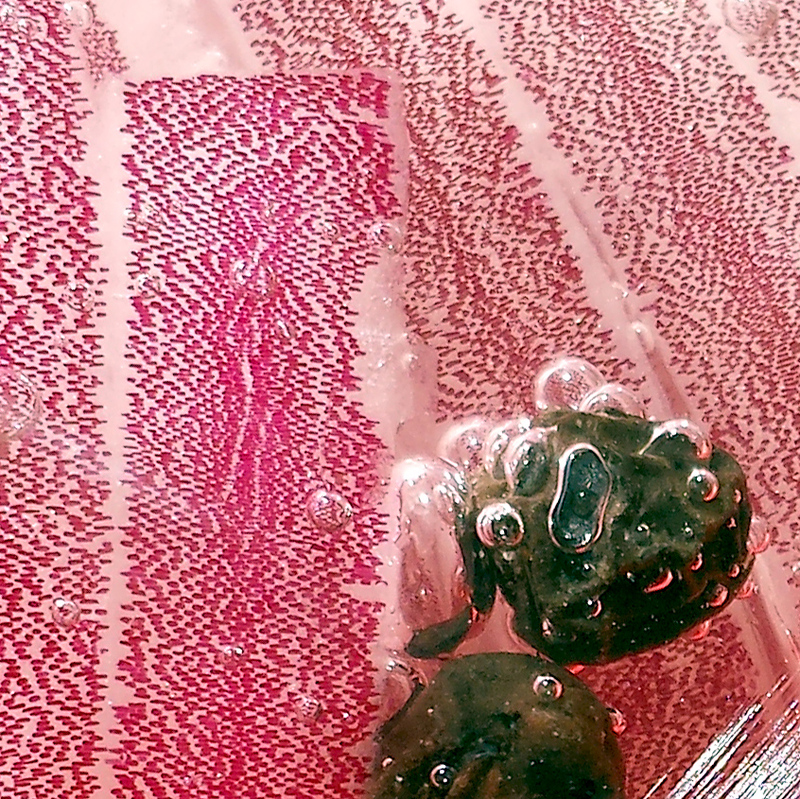 This photograph is a study for the mandala project. 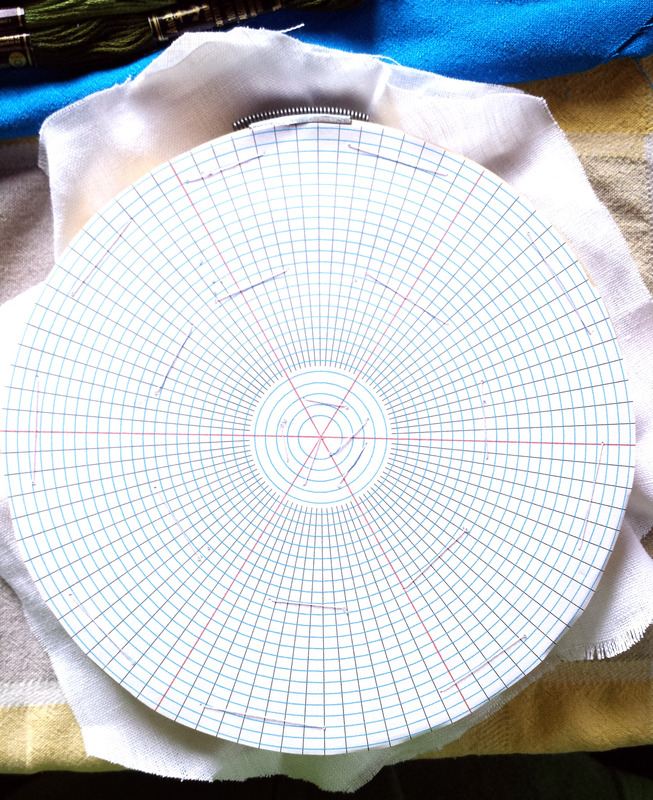 These grids and guides were made for the mandala project. 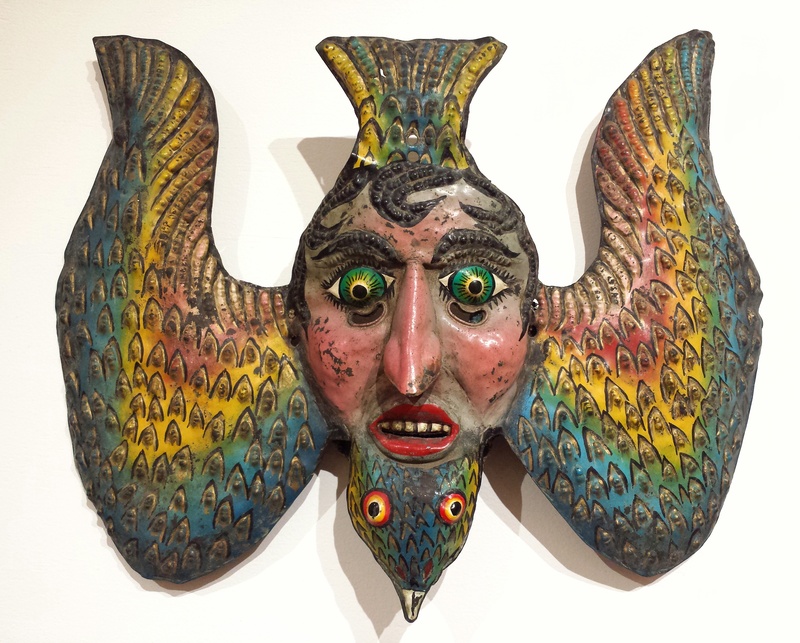 The town of Cuernavaca in the tiny state of Morelos, Mexico, has a wonderful exhibition highlighting the folk art of the region. 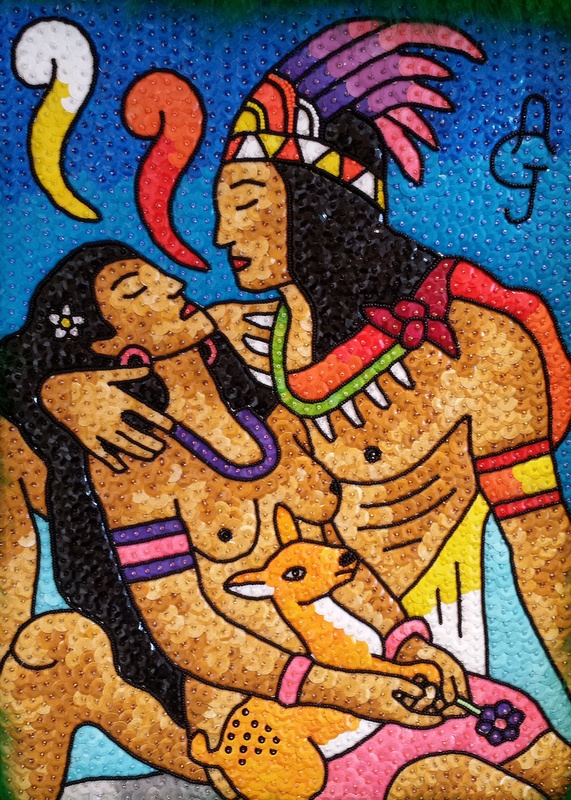 The standout work was this pair of elaborately beaded fiesta costumes. Cortes built his palace on – you guessed it – the local temple. 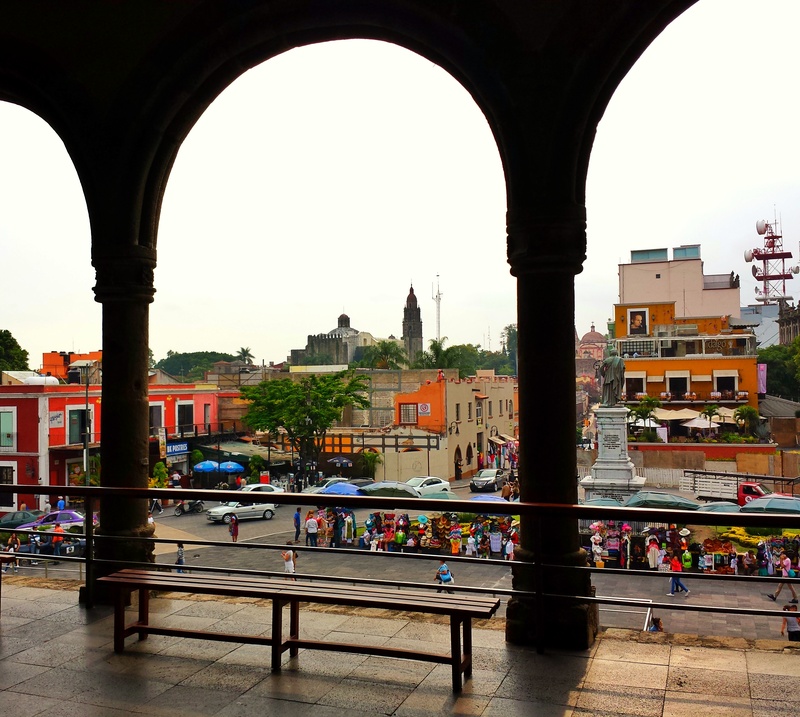 The palace is now a nice museum to the local history, from prehistory, through the religions and revolutions, right up to impressive murals by Diego Rivera. A patch of the wonderful though intrusive polka dot plant, Hypoestes phyllostachya, grows in a shady bit of jungle at the edge of a garden in Cuernavaca, Mexico. 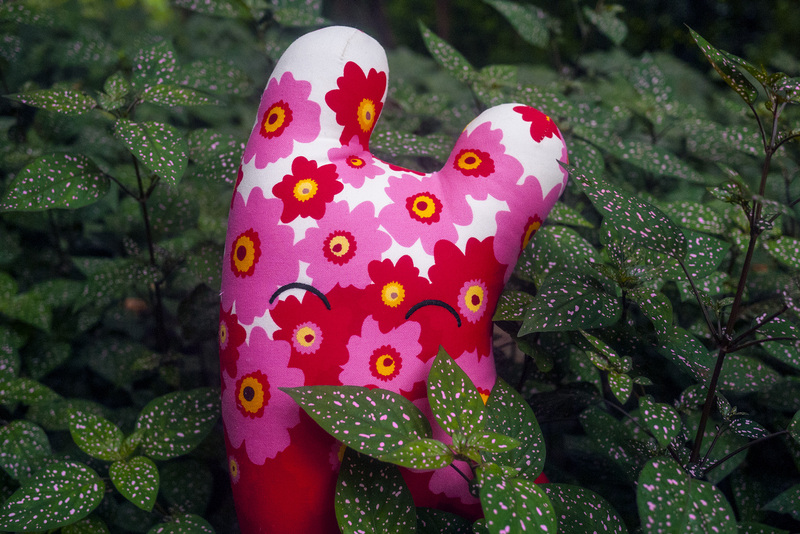 The plant has distinctive coloring with bright pink dots on its smooth, glossy, dark green leaves. This Happy Sleepy was a perfect match.